I've been reminded on Facebook that it's a year since Gail and I visited the Italian region of Tuscany. We went on a ten day holiday with six other people and visited several places like Florence, Arezzo and Siena. It was a bit of a road trip and brilliant fun it was too. We were in two minibuses, and we shared ours with two other photographers. Which was great, as they perfectly understood why I was taking a photo of a rusty lock. 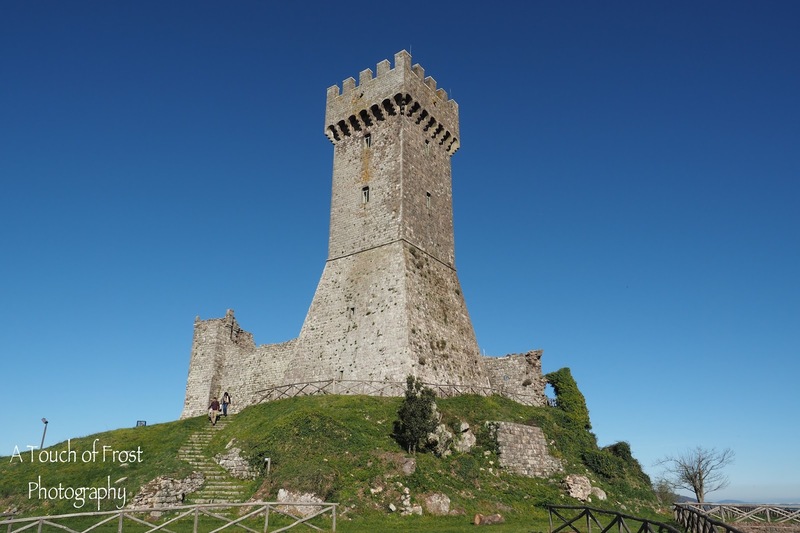 This castle is in the small town of Radicofani. You get some great views of the area from the top. We also got to meet the mayor of the town and had a group photograph by the statue of Ghino di Tacco, who was their version of Robin Hood.